Do the Nationals currently offer any incentives to their employees to take public transit to work since the ballpark is LEED-certified? In response, McCarthy said the Nationals organization doesn't currently offer an incentive to its employees, but will look into that possibility. 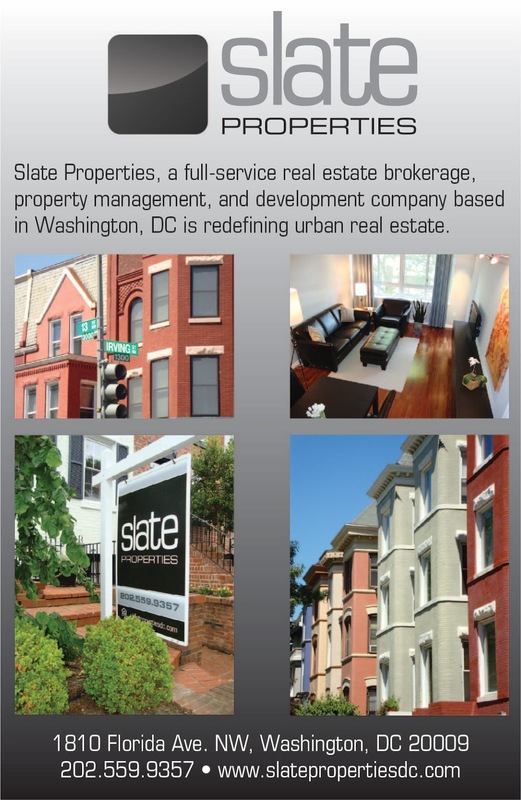 Other concerns brought by residents included traffic backups on M Street and P Street during game days and non-game days. 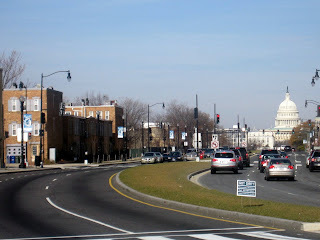 Since no left turns are permitted northbound on South Capitol Street from the Frederick Douglass Bridge to north of I Street, the only access people have to Southwest from South Capitol Street south of the freeway is M Street. 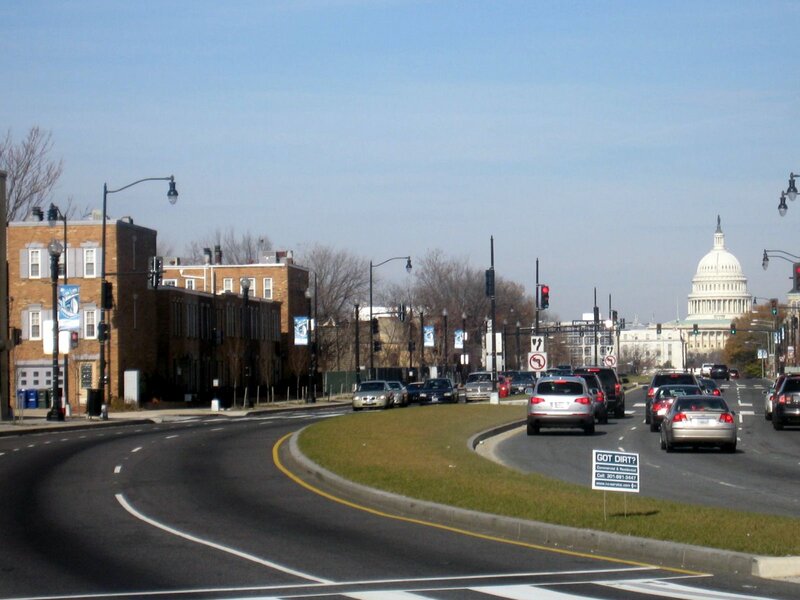 However, at the end of events at the ballpark, MPD puts up orange cones blocking access to M Street and forces drivers going northbound on South Capitol to go under the M Street intersection, a major inconvenience for local residents. A second TOPP meeting will be scheduled in about two weeks, so all representatives who were supposed to be at the meeting will be present and can properly address residents' complaints. Tonight's TOPP meeting was actually supposed to be held before the start of baseball season, so all concerns could be addressed before Opening Day, but for some reason the meeting was not organized in time. Although not directly related to the ballpark, I did ask James Cheeks from DDOT after the meeting about the traffic light at the intersection of 4th & I Street. The traffic light is still timed as though there was a 3-way intersection instead of a 4-way intersection. Pedestrians have to wait to cross either I Street or 4th Street until all traffic lights are red, which is a vestige of the old configuration before 4th Street was reopened. Someone else mentioned the 4th & M Street intersection's timing issues to Mr. Cheeks, so hopefully both of these intersections will be fixed in the near future. I'll follow up with Mr. Cheeks to make sure these corrections are made in a timely manner. The traffic light at Delaware Ave and M Street is continuously stuck on red going N/S and the crosswalk at "0." When and IF the light ever changes, it is green for all of five seconds. This has been going on for years. The E/W crosswalk is ridiculously long. I never use that intersection anymore because of that horrible horrible light. There appears to be a sensor on the corner that will make the light change when you are going Northbound on Delaware, but it doesn't work. The intersection of M and 1st, SW is regular, with no changes based on volume. I don't see why they don't just do that with Delaware Ave too. "...when the meeting finally got underway more than a half hour after it originally was supposed to begin..."
I have found this a chronic issue with meetings with Mr. Wells. It's "very DC" and something in the political culture I'd like to see eliminated in favor of a more professional, business-like, manner. question—is james cheeks in charge of signal operations for DDOT? i can't believe the nats don't provide some kind of transit benefit for their employees. of course, when your main employees (the players) and the owners all drive everywhere, transit probably isn't much of a corporate concern. I'm not sure who at DDOT is in charge of signal operations, but Mr. Cheeks was present at the meeting.